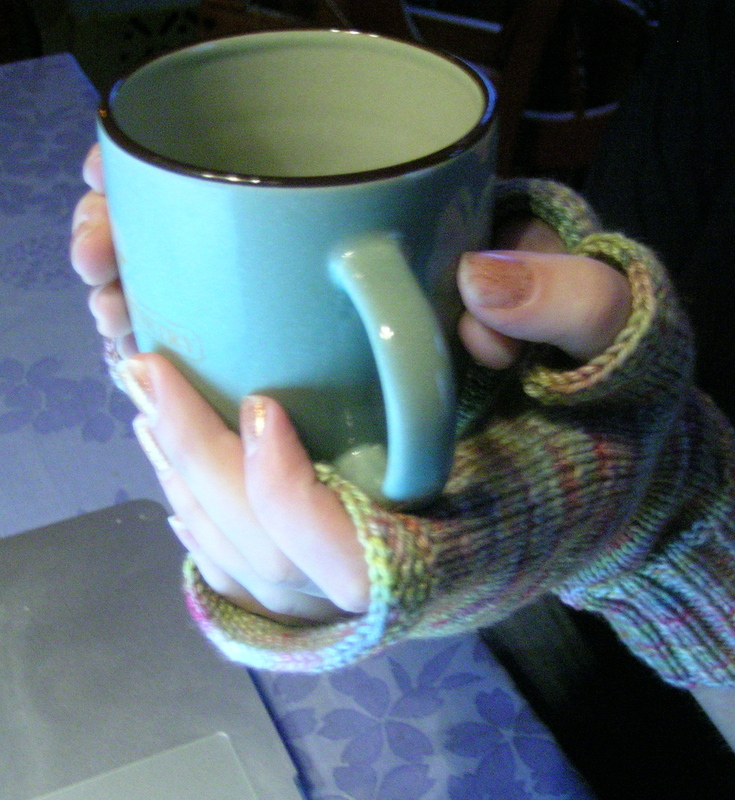 My daughter has very cold hands in the winter, and her office is definitely not over-heated. 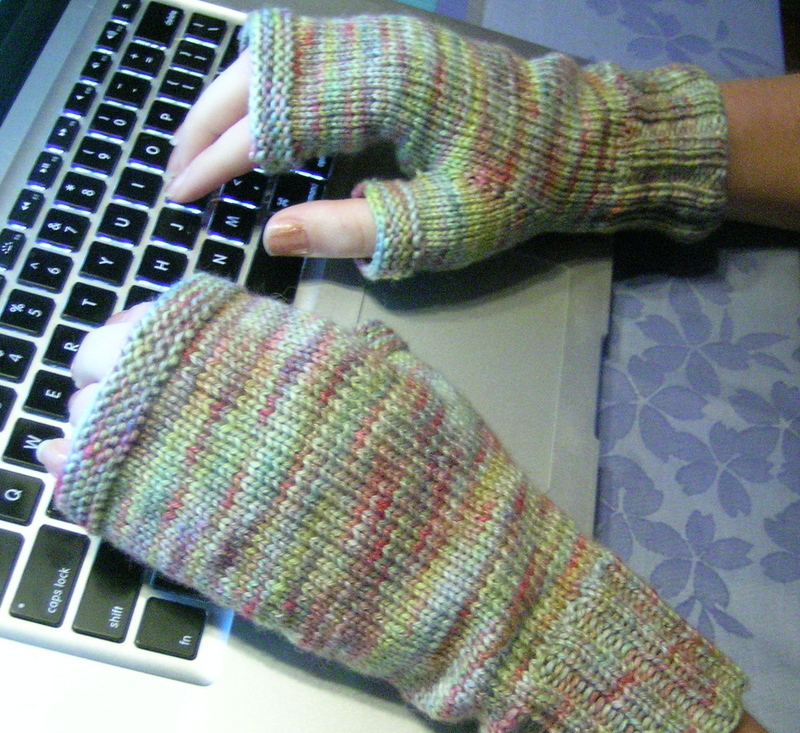 When she told me that she had to type a bit, then sit on her hands to warm them up, then type, I knew she needed some fingerless gloves for working. Last year I made my husband a pair, and he now brings them back and forth from work (need to get a second pair for him also). Even though I had been promising her flap mittens, I thought that these were in order first. K 12 rows St st.
Knit hand portion, CO 2 sts at thumb area (48 sts total). Repeat * to* as for top of mitt. Those look nice! Have you thought about making it available as a Ravelry download? Great idea–wondering if I could make these? Still not very good at reading patterns. I started my first knitting class–she is just having us practice, practice, practice. I am anxious to start on the project. You surely could make them. Once you have finished your class, these are an easy project. I hope you get totally addicted to knitting! I need a cohort in the family.